At the end of a long day of inprocessing activities, the USAFA Endowment’s Parent & Family Giving program welcomed cadet parents and families to a casual reception at Falcon Stadium’s Blue and Sliver Club. Families from across the country met each other and learned about opportunities for engaging with the Academy and their cadets through the Parent & Family Giving program. 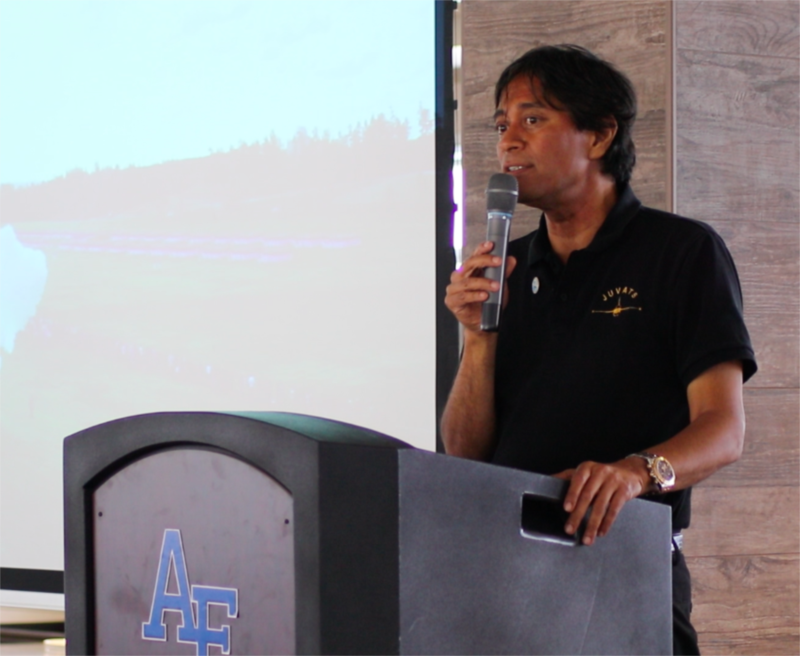 Dr. Dwijen Misra, a surgeon from Rochester, Minnesota, encouraged parents about what lies ahead for their sons and daughters, sharing from his experiences as the father of two USAFA graduates and a current two degree (sophomore) at the Academy. As the chairman of the Parents Leadership Council, Misra invited parents to pull together for the cadets and the Academy through Parent & Family Giving and its council of parent leaders. While giving by families has always played an important role at the Academy, Parent & Family Giving is a new program coordinated through the USAFA Endowment for families and parents of Academy cadets who want to interact with each other and get involved in Academy projects and programs through active volunteerism and philanthropy. Explore the Parent & Family Giving website to learn more.